The Mercure Johannesburg Bedfordview invites you to enjoy an elegant and warm experience during your stay. This affordable hotel has 120 air-conditioned comfortable rooms and apartments available to stay in. Unlimited wi-fi is available to guests throughout the whole building. There are 3 meeting rooms and a self-service business center for your convenience. There is access to the terrace and outdoor swimming pool with a bar for guests to enjoy. The restaurant serves an all-you-can-eat breakfast buffet. 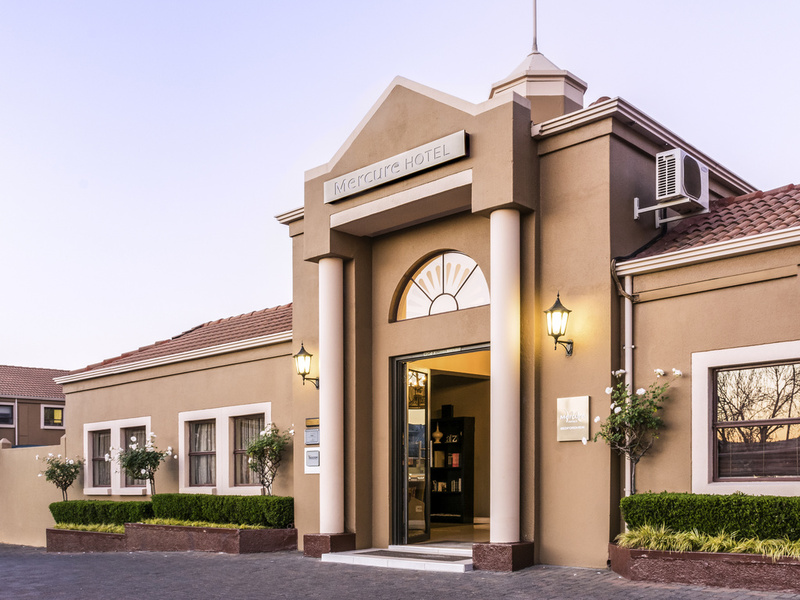 The Mercure Hotel Bedfordview is located in the exclusive suburb of Bedfordview and is directly opposite the Eastgate Shopping and Entertainment centre, boasting over 260 shops, restaurants, banks and cinemas. The hotel has 120 rooms - choose between a Standard Apartment with 1 Queen Bed or Standard Apartment with 2 Queen Beds. All have a spacious layout with a separate lounge, kitchenette, bathroom, patio, telephones, Satellite TV, Wi-Fi, electronic safes. This 54 seater breakfast room has a full selection of hot and cold varieties to choose from. African dishes available daily as well as a fine selection of Fair Trade coffees. A relaxed bar that offers fine Fair Trade coffees and speciality coffees as well as a large array of regional cocktails to choose from.